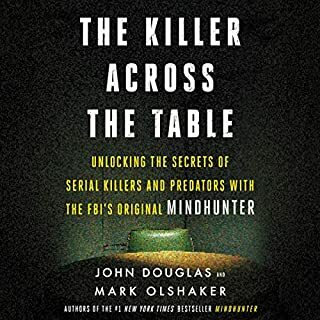 The legendary FBI criminal profiler, number-one New York Times best-selling author, and inspiration for the hit Netflix show Mindhunter delves deep into the lives and crimes of four of the most disturbing and complex predatory killers, offering never-before-revealed details about his profiling process and divulging the strategies used to crack some of America’s most challenging cases. The Skeleton Crew provides an entree into the gritty and tumultuous world of Sherlock Holmes-wannabes who race to beat out law enforcement-and one another - at matching missing persons with unidentified remains. In America today, upwards of forty thousand people are dead and unaccounted for. These murder, suicide, and accident victims, separated from their names, are being adopted by the bizarre online world of amateur sleuths. Have you ever wanted to solve a murder? Gather the clues the police overlooked. Put together the pieces. Identify the suspect. Journalist Billy Jensen spent 15 years investigating unsolved murders, fighting for the families of victims. Every story he wrote had one thing in common - it didn’t have an ending. The killer was still out there. But after the sudden death of a friend, crime writer Michelle McNamara, Billy became fed up. Following a dark night, he came up with a plan. A plan to investigate past the point when the cops have given up. A plan to solve the murders himself. In Chase Darkness with Me, you’ll ride shotgun as Billy identifies the Halloween Mask Murderer, finds a missing girl in the California Redwoods, and investigates the only other murder in New York City on 9/11. 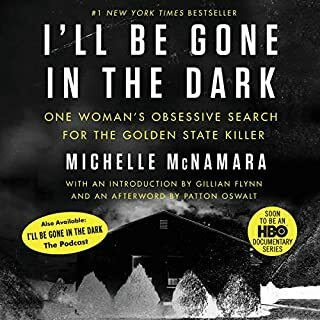 You’ll hear intimate details of the hunts for two of the most terrifying serial killers in history: his friend Michelle’s pursuit of the Golden State Killer which is chronicled in I’ll Be Gone In The Dark which Billy helped finish after Michelle’s passing, and his own quest to find the murderer of the Allenstown 4 family. And Billy gives you the tools - and the rules - to help solve murders yourself. Gripping, complex, unforgettable, Chase Darkness with Me is an examination of the evil forces that walk among us, illustrating a novel way to catch those killers, and a true crime narrative unlike any you’ve listened to before. 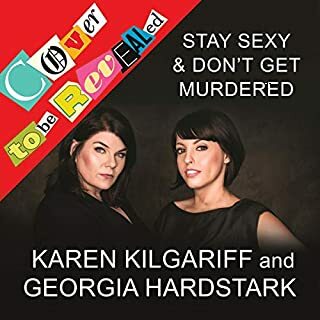 With a foreword by Karen Kilgariff of My Favorite Murder. 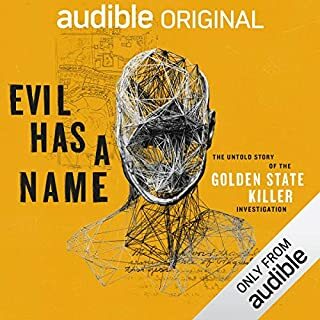 ©2019 Billy Jensen (P)2019 Audible Originals, LLC. To preface this, I am not one for super critical reviews. I don’t care about structure or form or existential matters. Was it interesting? Informative? Did I enjoy it? Good enough for me. I’m not a rabid Billy Jensen fan. Nor am I rabid true crime fan. I am a rabid justice for victims fan, so true crime listening and reading consumes a lot of my time. I often listen to it to see if there’s a better technique or idea to be applied in my real life occupation. This is the writing of someone with empathy, but from as objective as a perspective one can have when they actually give a hoot (man I wish we could curse in reviews. Hoot doesn’t have enough emphasis). This is a narrative from the perspective of someone who wants to give a voice to the voiceless, with a focus not on the horrible things that people do, but the search for justice for people who have horrible things done to them. That difference in narrative is what makes this incredibly special. So often, articles leave you remembering the life history of a serial killer, but not so much as the names or faces of their victims. It’s also refreshing to hear a narrative that’s read and written by a person that is featured prominently in it, without any of the narrative smacking of self importance or pompous ego. On an audio listening note - a lot of audiobooks just drone. This isn’t a lively radio show production, but I binged this in one sitting (I work long hours) and never once did I feel sleepy, bored, or irritated. Billy’s voice has personality without being corny, and energy without being obnoxious 6 hours in. 10/10 appreciated this, and am glad I spent the money. This book was so captivating I wanted to call in sick to work the morning I started listening because I didn’t want to stop. I did go to work and still managed to finish in less than 24 hours. I was brought to tears from emotion during portions of the book but overall it was excellent. 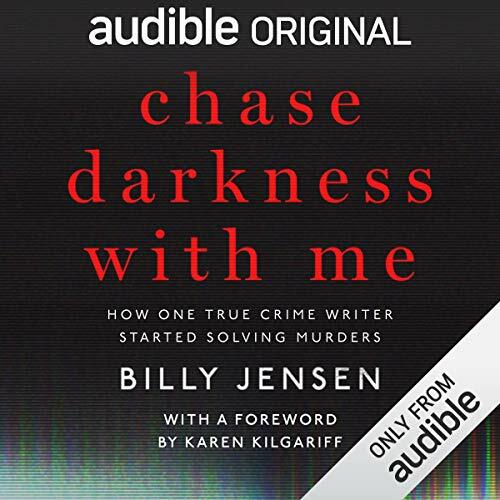 Billy Jensen has a great voice for audiobooks; I highly recommend this to everyone into making this sometimes dark world, a better place. Any True Crime Fan will love! Billy Jensen has done a great job on this book! I love his ability to mix true crime with the narrative of his life. Like many true crime fans, our fascination starts early! 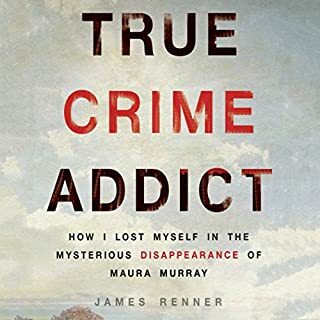 I love hearing the stories of his Dad and of Michelle McNamara. I am half way through this book now and will add more when I finish! I look forward to more of his work! I loved this story and couldn't stop listening to it. I'm familiar with Billy Jensen's recent podcast and was not disappointed with the book. I want to keep listening and seeing who he's able to help next. Billy Jensen is an amazing human. Some may see his optimism for crime fighting as fanatical, but he gets real results through hard work and persistence. Incredible encouragement and guidance for others who may become the unsung heros our world needs. Keep up the good work, Jensen! I started this book the afternoon of the release, was up until midnight listening, and IMMEDIATELY started listening again upon waking up. I'm probably going to start it again soon. Poignant and personal, Billy is obviously one of the good guys he states are so few in this true crime world. 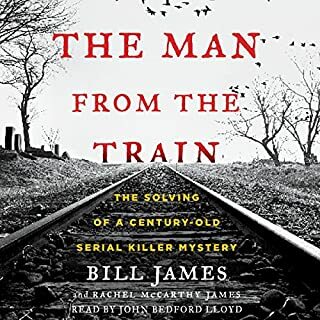 If you like Serial, Criminal, In The Dark, and other True Crime podcasts, this book is for you. Billy Jensen, spending his own time and money, uses social media as a force for good to help find murders, find missing people, and bring justice for the families of victims. After you listen, subscribe to his podcast with Paul Holes, Jensen and Holes: The Murder Squad and become a part of the movement of citizen detectives. I’m a murderino to the core, so that helps love this book. I think my favorite part is that the author reads the book. It doesn’t happen all that much and while he is reading it helps you connect with the material because he actually lived it. I cried I think 3 times. Slightly derailed my spring cleaning but it was worth it. A fascinating tale of a hardworking journalist and activist’s journey of pursuing justice for the forgotten victims of violent crime. Jensen and Kilgariff’s engrossing narration is icing on the cake. If you love true crime you’ll love this fresh take on procedural investigation. Great book and very interesting, I wish it kept going on. 100% recommend this book. I really enjoyed this book. If you like true crime books/documentarys you will enjoy this. It is a look into investigative journalism in that field so is quite refreshing in terms of content. Narration was very good. pacing was ideal and the story kept me hooked. Finished it all in a day so would recommend. Thank you Billy Jensen for giving us an insight into your life. So fascinating to hear about how your investigations takes place. I'll definitely listen to this again. Great book and emotional at points. Michelle McNamara, reliving the capture of GSK were especially poignant.